Angie and all 20+ hand-picked instructors (working in a wide variety of fields) are each dedicated to helping you learn what it takes to achieve optimal physical health — gain a foundation for better living — for you AND those in your care personally or professionally. Through this education, we share our experiences, knowledge and techniques for understanding how to encourage the body’s natural processes to work optimally for health… without side effects. In fact, Angie traversed this path to heal herself.. and heal she did! Which is why she has such a passion to empower, educate and equip you!! You know what to do with your passion, right? It’s there for a reason. Follow it. What an incredible education! All of the educators are tops in their fields with real world experience. AcademyEpic’s comprehensive program allowed me to fulfill my passion and purpose. Totally life changing experience. I’ve been waiting for years for an education like this. Have the Audacity to Believe! * What are the Degree Levels? They say imitation is the sincerest form of flattery, but when that imitation doesn’t serve anyone except those doing the imitating, we can’t agree. Please, don’t be fooled! We strongly encourage you to vet any program and all statements. We have witnessed some TWIST THE FACTS to their Sole Benefit. We are not afraid of Qualified and Sincere Competition – in fact we encourage it – but don’t steal from us! We want and need help to change the world to embrace natural health and take control of their lives. Be informed! Have no regrets. While you’re Triple Checking claims and promises made, look for hidden fees or additional costs (or required books, for that matter). Academy Epic has NO small print and NO hidden fees. Period. We do recommend books, but they are NOT required. One more BIG caveat… MANY of the programs out there are taught by those who NEVER had a practice of their own. Thus, your applicable real-world experience is ZERO. #truth And… ANY ONE who suggests they alone can teach you what you need to know, RUN! If you learn from one instructor, you will get ONE instructor’s sum total of experience and knowledge. At Academy Epic, there are 20+ Professional Practitioners & Specialists with real-world Experience, teaching you the sum total of ALL of their knowledge and real-world experience. Doesn’t that make more sense? YES – All the modules are viewed ONLINE at your convenience. Don’t worry we won’t watch you curled up in your favorite pj’s with a cup of delicious hot tea….well unless you invite us over or FaceTime, Skype, Zoom or… you get the idea. Do you need to be Board Certified in order to get a Diploma of Completion / Certified for the CAHP designation? NO – The Board Certification from the SCAHP (Society of Complementary and Alternative Health Practitioners) is just an added level of certification….acquired after completing a 4-hour NO notes exam. Well maybe not “just” but it does lend a level of competency once completed. Once you have completed the CAHP FINAL EXAM, you will be awarded your EARNED Testament of Completion Certificate (aka Diploma) and hold the credentials to offer your gifts to the world as a Complementary and Alternative Health Practitioner (CAHP). Are the tests online too? For the CAHP Program, NO – We are EPIC! Therefore, we do not require an OPEN book test online at the end of every module. WHY? Because it’s an OPEN book….where you are trying to find the answer for whoever wrote the strange “gonna trick you” question. So let’s skip the “games” and let’s focus on SUCCESS. Your FINAL exam will show us “you know what you need to know”. We are NOT a school and we have no desire to be thought of as a school…..seeking Higher Education Authority or conducting itself as one. We are a KNOWLEDGE ACADEMY! Why does that matter? Because we WANT you to succeed. So we have chosen a Trainer/Instructor team that ACTUALLY uses the material. Not “theory” based Trainers who only teach a topic but ones that ACTUALLY practice their Craft. Our Certificate Collections are segments customized from of our CAHP program. This allows you to select just segments and not feel pressured to purchase the entire CAHP- Premiere program. Currently YES – it is the only one approved and supported by www.SCAHP.org. The Society of Complementary Alternative Health Practitioners. Though you may be Board Certified thru SCAHP without completing our Academy EPIC course, ultimately the board certified exam is based on the information trained within the CAHP program offered via Academy EPIC. Are there CEU’s that need to be completed for being Board Certified? We are pleased to meet the 23 CEUs required annually via the ANMCB Board Certification renewal procedures. You will receive these CEU requirements with ANY of our Collections and Selections options. Once the “online quiz” is completed you will be mailed a Certificate. You may make a copy and mail accordingly per ANMCB procedures. 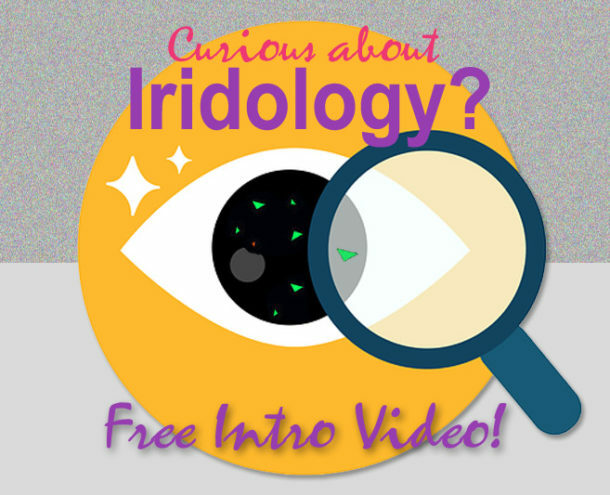 This month Angie offers YOU a FREE in-depth introduction of Iridology, taught by Brenda Generali, Iridology Expert, CNC, CI, CCI. We will NEVER spam you or sell, rent or share your info with anyone else. Period!